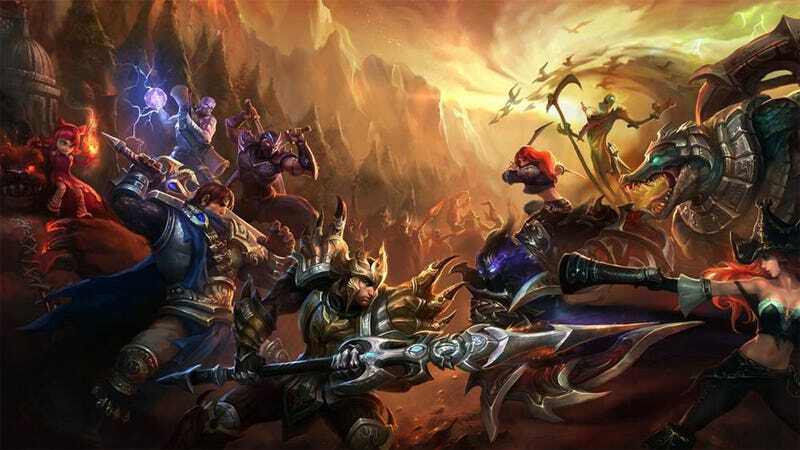 Continuing a recent crackdown on the kind of behaviour that gives the game a bad rap (at least amongst those who don't play it religiously), League of Legends developers Riot have permanently banned two prominent eSports players for their "toxic behavior in-game". Pro League of Legends Player Banned For Harassment, Abuse & "Negative Attitude"
Ilyas Hartsema, aka enVision, whose "peak harassment score placed the account among the worst 0.06% of all European accounts this month", according to Riot, was banned having "established an undeniable record of in-game harassment, abuse, and poor behavior." Amazingly, it's not the first time he's been punished by Riot; a previous account he held "registered one of the highest harassment scores ever recorded". Charming. In closing, the game's tribunal says of both players that they displayed a "persistent tendency to engage in verbal abuse, insults and offensive behavior is unacceptable for any player, especially a high-profile eSports competitor who has a regular opportunity to lead the community by example."